On my way back from dropping the kids at school and kindy earlier, hubby phoned from the new house to say they were putting in the kitchen. EEK!! I'm so excited!! Of course I'm itching to get over there for a peek, but while I have kitchens on the brain, I first wanted to show you this stunner that caught my eye a while back. 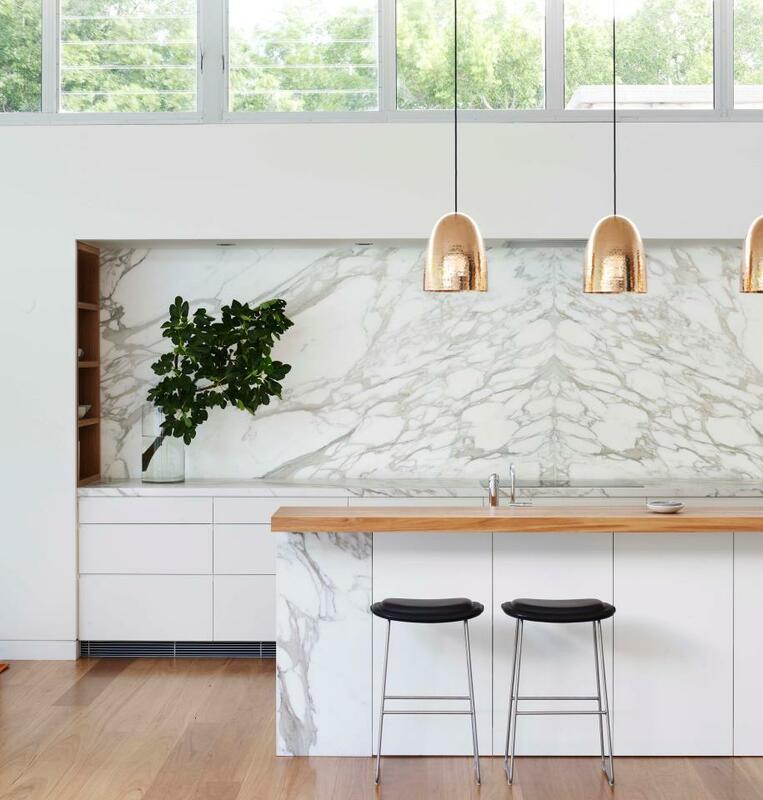 The beautiful kitchen was designed by the award winning interior design firm Arent & Pyke, and was featured in the annual Kitchen & Bathroom Special in the April/May issue of Belle magazine. 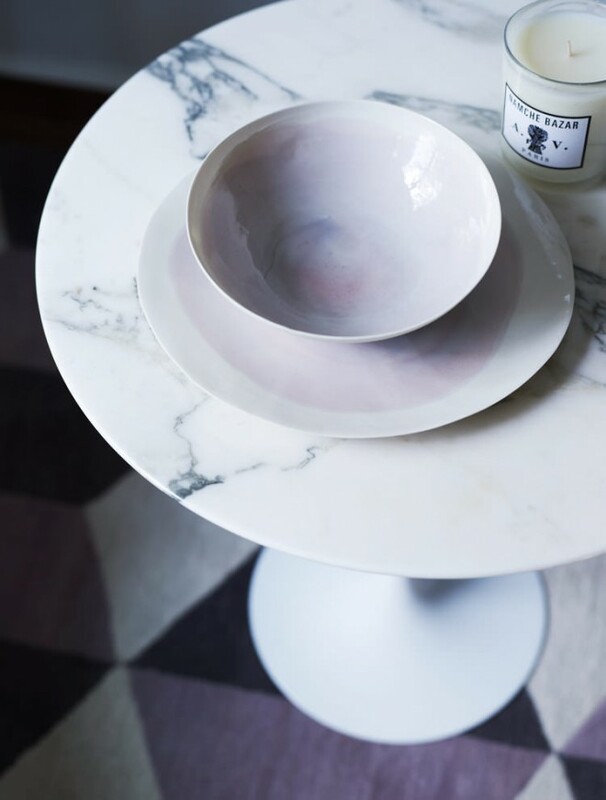 Part of a recently completed home in Sydney's Eastern suburbs, it was the expansive use of Calacatta marble that got my heart racing. Additional elements of timber and the incredible copper lighting from Dunlin Home complete the look perfectly. 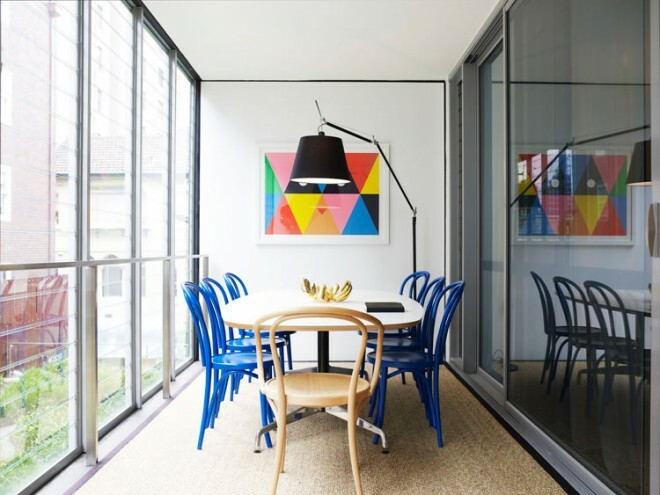 Having met while working for a top design studio in Sydney, Juliette Arent and Sarah-Jane Pyke realised they had a shared passion that focused around the desire to add balance to peoples lives through their interiors. Complimentary backgrounds, education and practices were also driving factors for launching Arent & Pyke in 2007. I'm quite simply wowed looking through their design portfolio, which showcases incredible precision and exquisitely clean, unique spaces that are filled with colour and life. The sense of balance and harmony that they strive to achieve is evident everywhere. The stunning NYC Apartment is Arent & Pyke's first project abroad, and has been featured in Vogue Living. 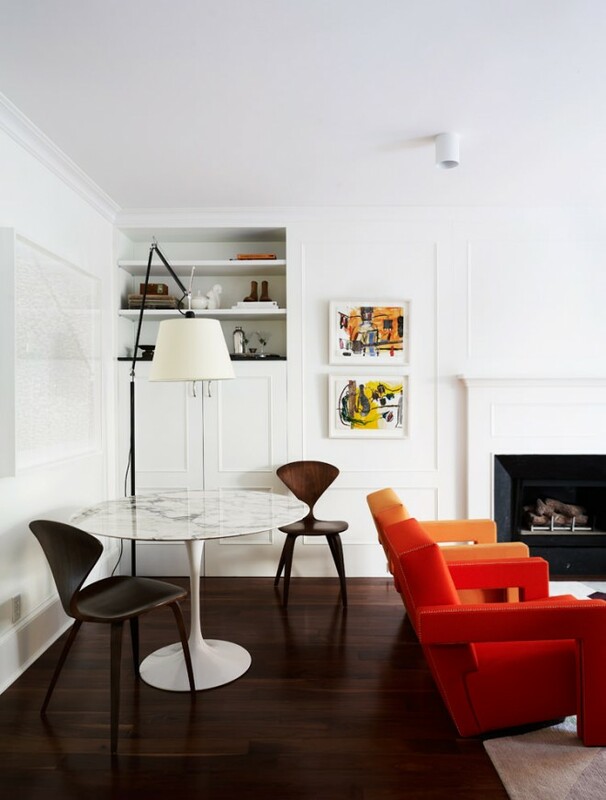 Clean lines and beautiful design pieces including the Cappellini sofa, Minotti armchair and a beautiful colour-blocked Zap rug by The Rug Company in New York keep the apartment uncluttered yet vibrant. 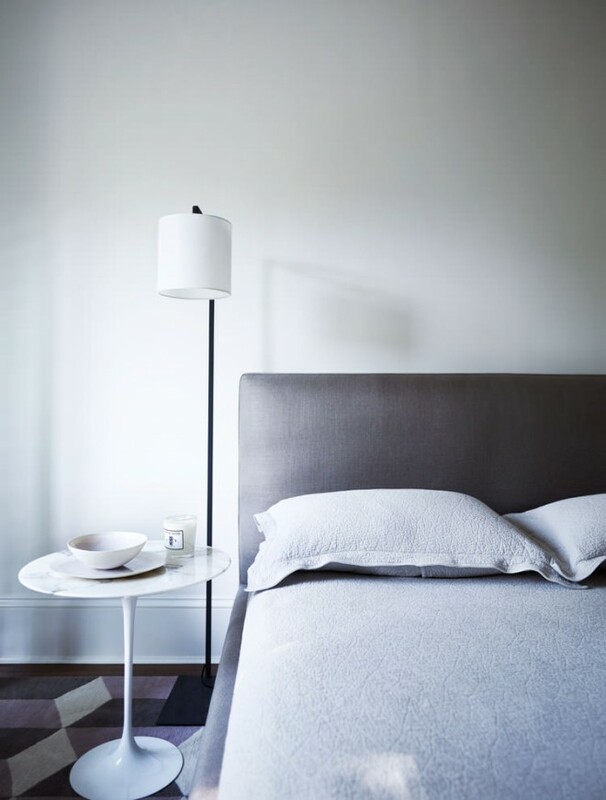 The bedrooms which feature custom bedheads and gorgeous Bemboka bedlinen are calm and peaceful. 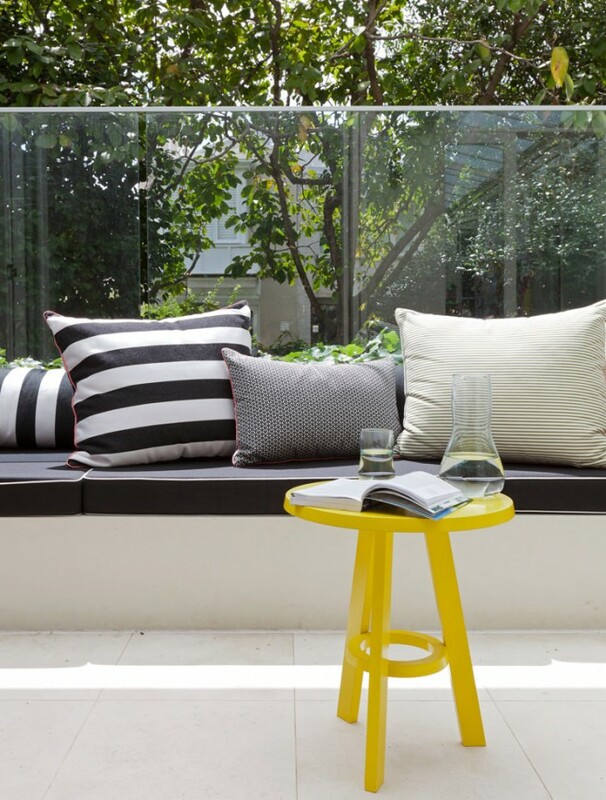 This project involved making over the newly purchased studio in Potts Point of creative branding agency Squad Ink. A gorgeous space with loads of natural sunlight, I love the Mondrian Blue bentwood chairs and dramatic black Tolomeo floor lamp in the meeting room. 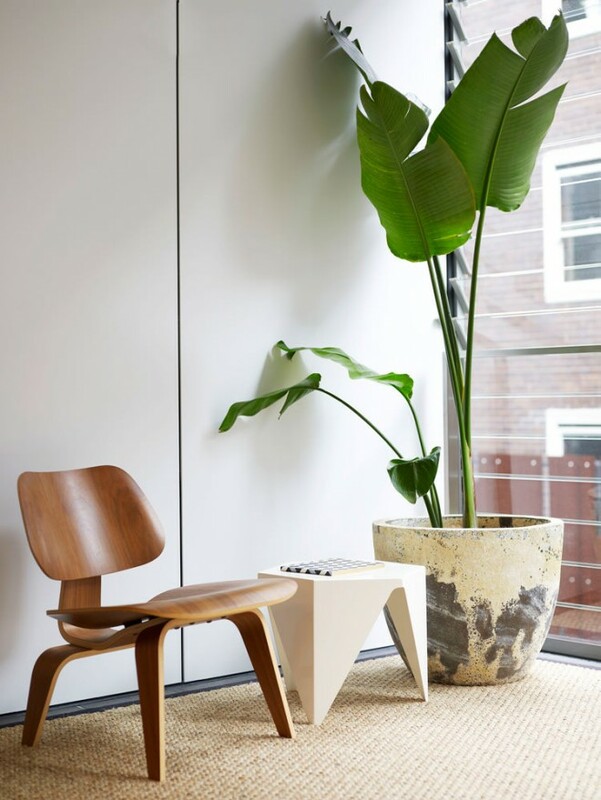 The area above is perfectly simple with a beautiful Eames LCW chair, and potted Strelitzia. 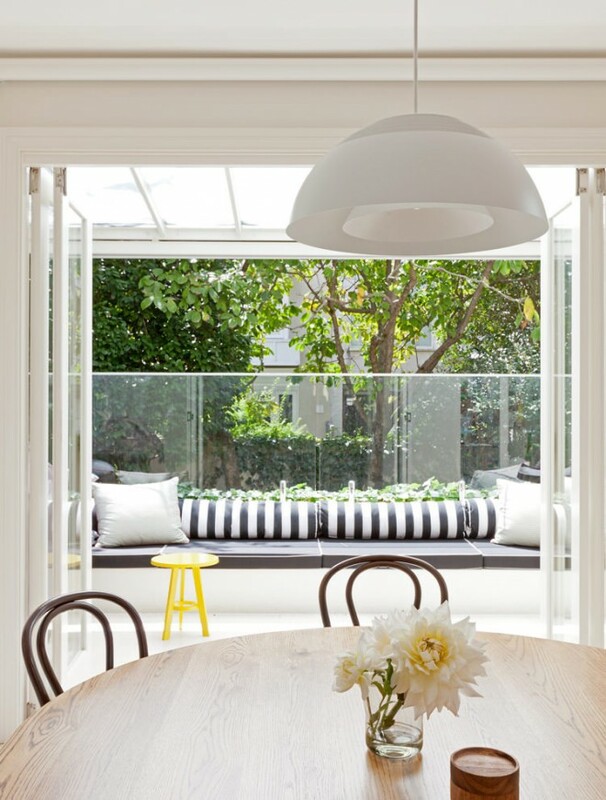 I love the indoor/outdoor flow of this home in Woolahra, the round dining table and bentwood chairs, and pop of yellow outside. It all looks so lovely and inviting. See the full house tour here. Arent & Pyke also have an amazing blog In/Out, where they share more of their work and press features. 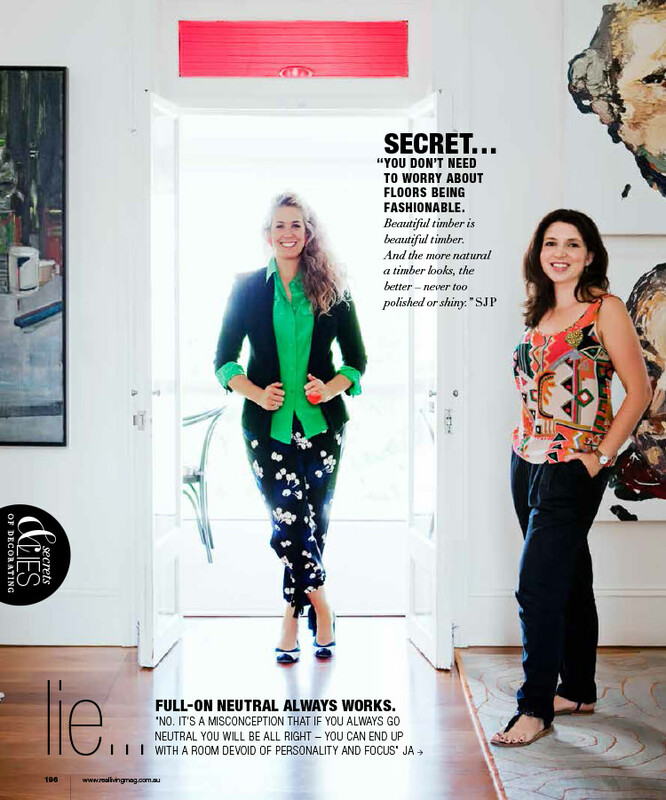 The most recent, a 16 page spread in the June issue of Real Living is a must read! 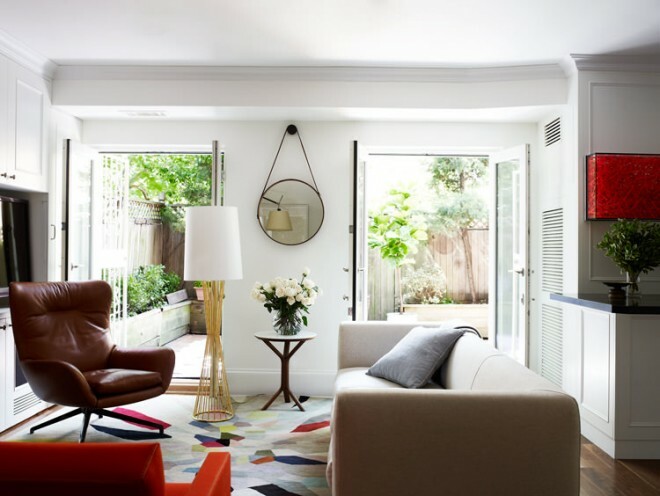 Titled 'Secrets & Lies of Decorating', the article is packed with tips and tricks and if you are renovating or building, the advice that Juliette and Sarah-Jane give is invaluable. Topics include art, shelving, rugs, flooring, paint, chairs, window treatments, bedrooms and bathrooms, including their own loves and ideas. 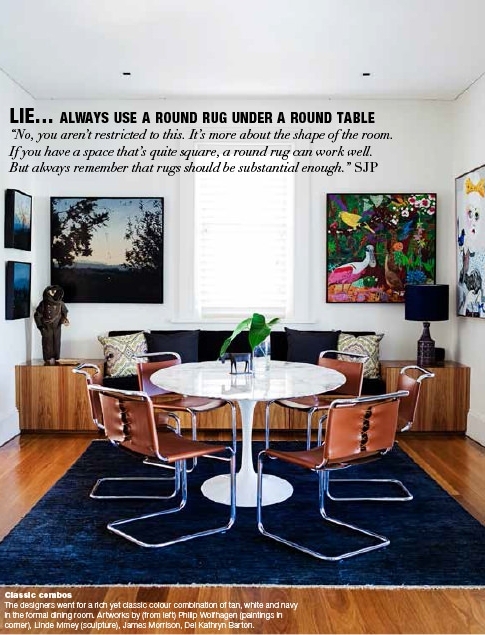 Shot inside the award winning Balmain House, here are a couple of examples of the secrets and lies that had me frantically jotting down notes! I find it so admirable when successful and talented people are willing to share their knowledge and help or mentor others. It's such a wonderful and generous way of giving back. Since doing this feature, Juliette and Sarah-Jane have realised how much they enjoy sharing, and have announced that they plan to start a new series on their blog to do just that. With a behind the scenes look at their completed projects, room by room, we'll get to see how the talented duo arrive at the finished product - their decisions, concepts and design process. Make sure you pop over to the In/Out blog and follow along. This photo is breathtaking!!! Puts a smile on my face!. Thank you for posting this beautiful picture. 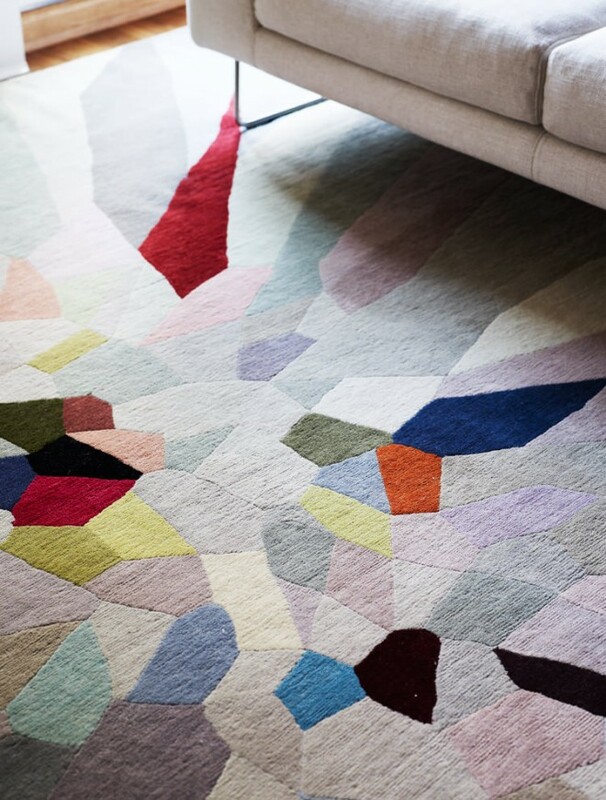 Awesome, You put the great image ideas for interior decor, I love it and keep up sharing your great ideas.